We all know that China is one of the strongest economies in the world. Therefore, the use of Chinese has become increasingly widespread in recent years. Whether for business, study, or any other reason; verbal and written knowledge of the Chinese language is in greater demand. 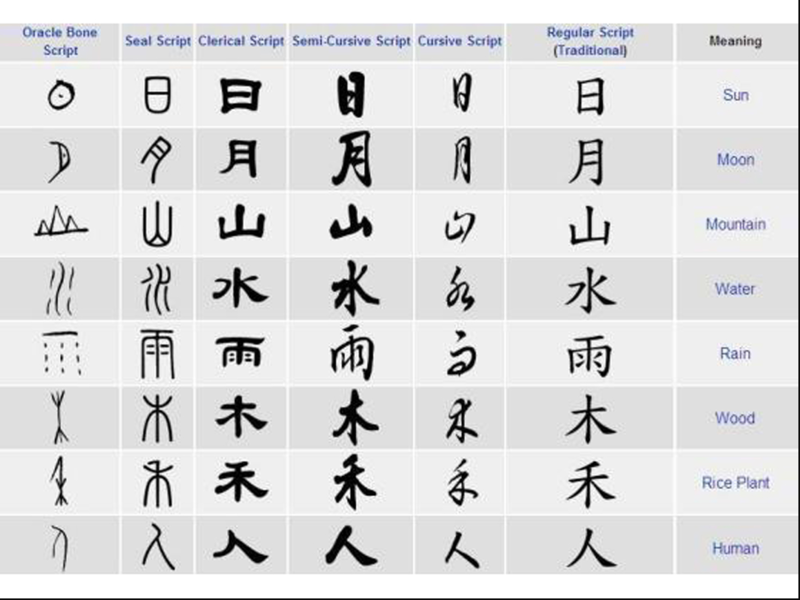 So, let's take a quick peek at the origin of the Chinese script. Chinese text began based on logograms and was then divided into simplified characters and traditional characters as time went by. There is no difference in the meaning of the word itself when written in the Simplified or Traditional form, but the script will look different, as Simplified characters have much less writing than the Traditional method. The Chinese script originated through drawings, which then evolved into characters with meanings through the Cang-Jie (倉頡) method. For example, the word 月 stands for moon. If looked at closely, it will resemble the quarter moon in a drawing. It began as a drawing and evolved into a character. The Chinese character has since evolved into simplified characters, aside from the traditional characters, for easier understanding and writing. The traditional method is very complex and difficult to understand. For example, the word turtle written traditionally is 烏龜, as opposed to its Simplified version 乌龟. Nowadays, Mainland China plans to implement the teachings of Traditional Chinese more, as it is more commonly used outside of China. Day Translations can provide you with accurate Chinese translations for any occasion, whether Simplified or Traditional, verbal or non-verbal. For your free quote, simply click here. We're happy to help.